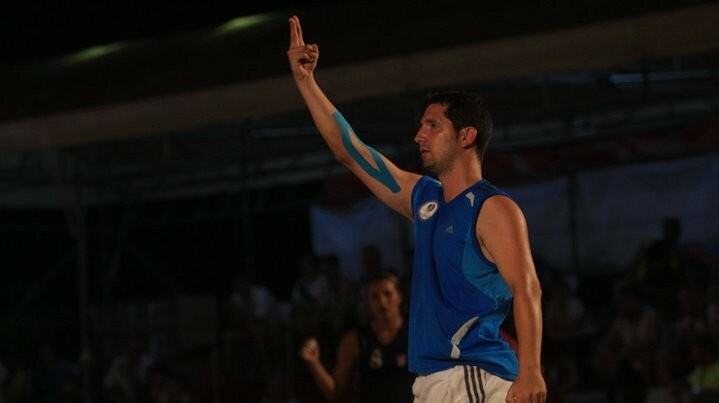 Tell us your beginningsÂ as beach handball referees - how did it all start? Everything started when I was 14 years old. Our coach told us there was a new discipline, which was the beach handball, and we tried that in the University facilites, a place where I would study Physical Education years later. I fell in love with this sport and its phylosophy, so I started to referee and play. After several years combining both skills, I was given the oppotunity to know this sport in depth and I liked to referee much more because of everything I could transmit. It might seem a bit tricky question: Why beach handball? Why not any other sport? Because of everything this sport entails, it is the most complete sport and the one with a greater exponent of the 'fair play'. It involves everything and everyone including handball players, coaches, referees as well as spectators make a great family that I haven't seen in any other sport. How do you think, where it all goes? Do you believe beach handball heads toward right direction, trying to become Olympic sport, or you would prefer to keep the status quo? I think that beach handball is the greatest exponent of what an Olimpic sport means, amateurism with professionalism, team spirit, fair play.Â It is the only sport that is always played in superiority, easily understandable, very fast and incredibly spectacular. Who could get bored in a beach handball match? The Olympic dream is a reality.